OddsOn/ Vegas Technology Blackjack Review. 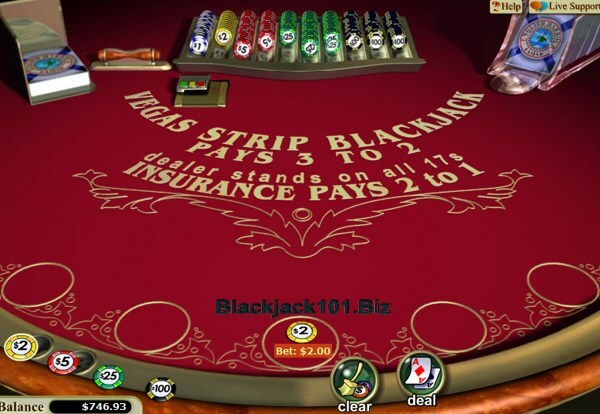 Blackjack is one of the most popular online casino games today and available in dozens of variations. The card game offers ones of the best odds (highest payouts) available at casinos when you keep track of cards in play and use the appropriate, optimal strategy to increase you long term payouts. OddsOn and now Vegas Technology online casinos feature 4 versions of Blackjack tables: European, Perfect Pairs, Progressive and Vegas Strip games (click the links below for complete reviews, optimal strategy cards and preview game screenshots). 4 Deck Vegas Blackjack. This is an American Hole Card game with 4 regular card decks. The dealer peeks for Blackjack on 10 value cards and Aces. The dealer stands on all 17. Player's Blackjack pays 3:2. Doubling down is allowed on any first 2 cards. Double down after a split. Split once for a total of 2 hands. Split Aces receive only one card on each Ace. Winning insurance bets pay 2:1. The game can be played with 1 to 5 hands at once. The cards are dealt from a deck of cards called a shoe containing 4, 6 or 8 standard decks (depending on blackjack version) of 52 cards (no jokers) that are re-shuffled after each hand. 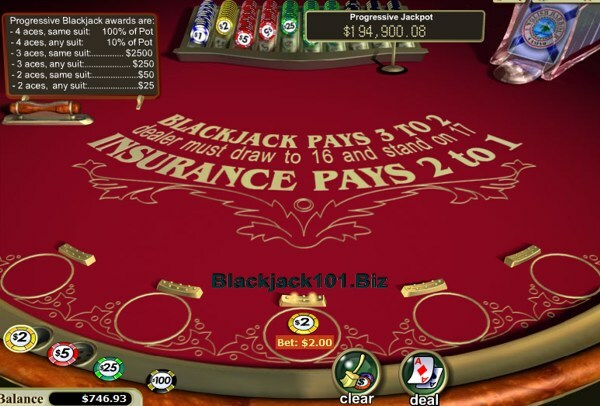 The Player competes against the dealer and the basic rule of all blackjack games is to get a hand higher than the dealer without going over 21 or making the dealer hand's bust. If the face value of your 2 cards is 21, you have a Blackjack (also called "natural blackjack", e.g. Ace and a face or 10 card). If you have a blackjack or if the dealer's cards are lower than yours you win! OddsOn's 8 decks blackjack version makes card counting quite impossible. You can try 4 deck European and Progressive games to benefit from card counting but it's almost useless, providing the cards are shuffled after every hand. 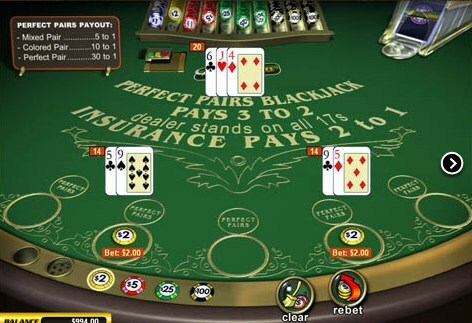 The default table betting limits are from $2 to $200. The progressive version has the same limites and $1 side bet that can bring you a 5-figure jackpot - at the time of writing this review the progressive jackpot standed at $194,900 level! The house edge becomes negative when the jackpot reach about $180.000, so it's time to hunt for the big one. 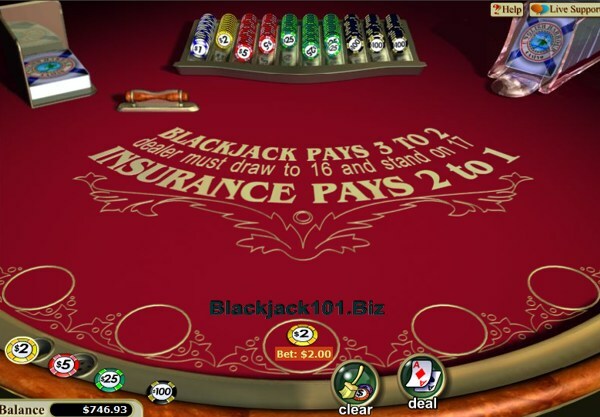 Players do not need to download and install software as the Flash, instant play version of most online casino games and blackjack games is available at all Vegas Technology casinos. Vegas Technology casinos offer ones of the biggest player bonuses (up to incredible $5,000 bonus for high rollers), great Players Comp program, big promotions and regular monthly, weekly and daily tournaments. Tourmanents mania is a new craze and regular big money blackjack tournaments can be played at Vegas Technology/OddsOn casinos. You can play in $5,000 Weekend Blackjack Classic tournament every week from Fri to Sun. 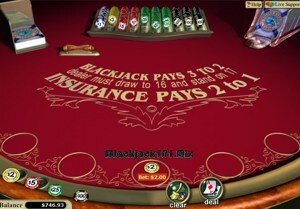 The the small fee of just $10 you can win your share of the $5,000 prize pool playing US Blackjack game. Another tournament - The Head2Head is also played on US Blackjack from Mon to Thu and has an entry fee of $5. Your winnings are limited by the Pot. You need to play blackjack with a certain chip balance and get the highest balance on the tournament leaderboard. The optimal strategies for all the OddsOn blackjack games allow you to decrease a house edge to under 0.5%. The strategies are calculated based on the game rules and summarized in the printable strategy cards on the corresponding game review pages (see links on the top of the page). 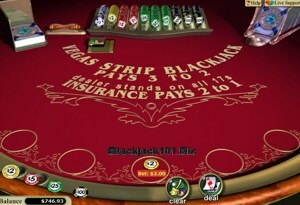 See Vegas Strip Blackjack Review. Play 4 Vegas Technology/OddsOn online blackjack games at Miami Club (100% match bonus up to $800 free) or Liberty Slots ($777 signup bonus on your first 3 deposits). Liberty Slots Casino offers Weekly "Blackjack Classic" tournament (Atlantic City Blackjack) where for a $5 fee you'll have a chance to share $750 prize pool. Players from USA are accepted (excluding the following States: New Jersey, Louisiana, Missouri, New York, Kentucky, Washington State and Maryland) but Canadian players are not accepted at this time.